Why Is Wendy Williams Off? And Where Is Wendy Right Now? 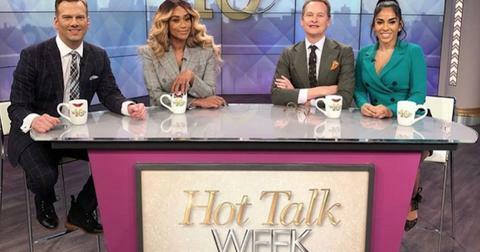 If you're a regular watcher of The Wendy Williams Show, it's hard not to notice that the talk show host herself is missing in action. 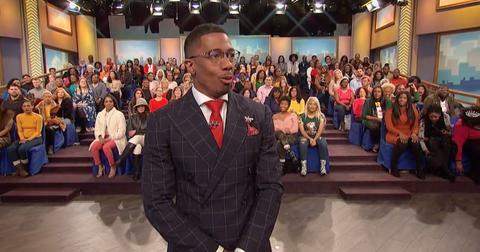 This week, Nick Cannon has taken over hosting duties, and longtime fans are wondering why Wendy Williams is not spilling her daily dose of tea. "Can someone tell me what happened to Wendy Williams? Why is she missing from her show?" one viewer asked on Twitter before another added, "When are you coming back!!? These dumbtards you have on the show right now just screwed up your show. NOT WATCHING ANYMORE." Yikes. So, why is Wendy off? It turns out, the 54-year-old is on an indefinite hiatus for health reasons — she was diagnosed with Graves' disease and suffered a shoulder injury in 2018 — and she gave her fans an update in a statement. "As Wendy Williams Hunter previously shared, she fractured her shoulder and has been on the mend," the statement read. "Over the past few days, Wendy has experienced complications regarding her Graves' Disease that will require treatment... Despite her strong desire to return, she is taking a necessary, extended break from her show to focus on her personal and physical well-being." Her temporary replacement, Nick, also revealed he spoke with Wendy before taking over her show, telling the audience, "Honestly, I didn't know what to expect at first. But her spirit was so big, it was so amazing. And you know what was also really awesome? I had a conversation with her and her whole family and she said she wanted to speak as a family unit." He continued, "I talked to Kevin, little Kevin, they said they all good. The love and the passion is still there 'cause that's what you need in times like this is your family to stick together with you." However, it is being reported that the show's staff is not too happy about Wendy's decision to leave so abruptly and without explanation. "Many of us have been here since the early days, and it's a complete joke to be kept in the dark like this," a source told The Daily Mail. "How could she be so selfish? We all rely on this paycheck." Another insider added, "She's managed to keep the real reason for her absence a secret, however, you can't leak something that no one knows. She'll allegedly pick up the phone for Nick Cannon, but she can't tell us what is going on." Where is Wendy right now? This week, Wendy was spotted in Florida visiting a drugstore with a friend. Media outlets described Wendy as looking "weary" and "barely recognizable" on the outing, and there are rumors that Wendy's hiatus is actually a result of marital troubles. Her husband, Kevin Hunter, was accused of having a 10-year affair with a then-32-year-old massage therapist in 2017, but Wendy denied the allegations at the time. "I stand by my guy," she said on her show before flashing her diamond wedding ring. However, last year, it was reported that Kevin's mistress was actually pregnant and that Wendy was allegedly self-medicating behind the scenes. 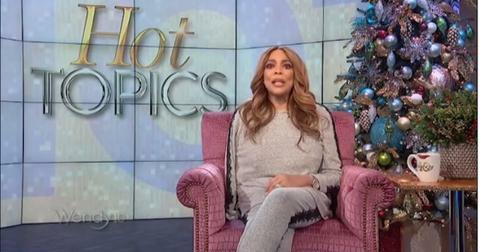 Will The Wendy Williams Show be canceled? There has been no official word is the show will be canceled, but there are reports that Steve Harvey is ready to step in to replace Wendy. "The FOX guys see Steve as a big enough name, and word in the industry is the way he’s been treated by NBC, he feels they don’t deserve him," a source told Radar Online. "They are considering a few people who could be a ratings hit, in case Wendy needs more time to get better." Check you local listings to watch The Wendy Williams Show weekdays on FOX.